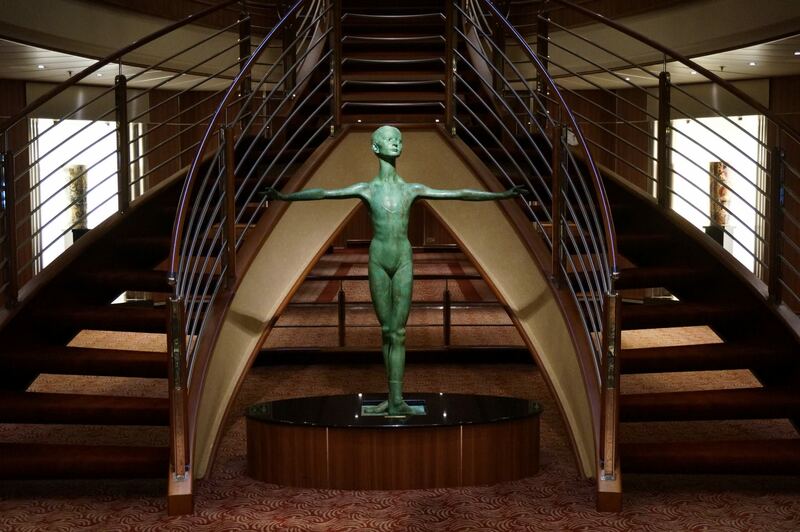 When introduced in 2009, Silver Spirit was a radical new design for Silversea Cruises. Once the largest ship in the Silversea fleet, she was eclipsed in 2017 by the 596-guest Silver Muse. Now, Silversea has embarked on ambitious plans to lengthen her in the spring of 2018, adding new features and Silver Muse-style amenities to make this nine-year old vessel new once again. 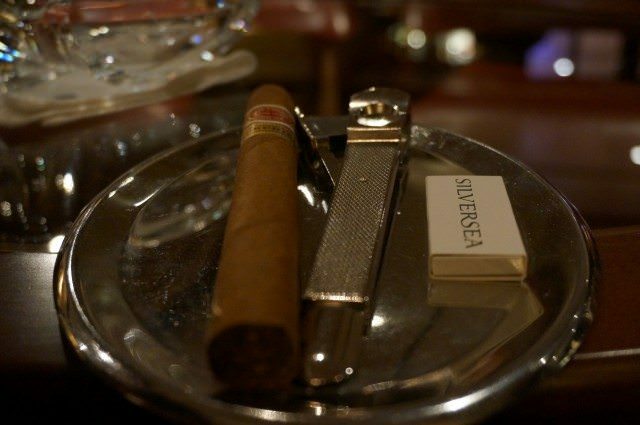 I’ve cruised the entire Silversea fleet, and I find something to appreciate in each vessel. At times, the smaller sizes of Silver Wind and Silver Shadow appeal to me. At other times, I appreciate the larger size — and the broader range of choices — that Silver Spirit offers. 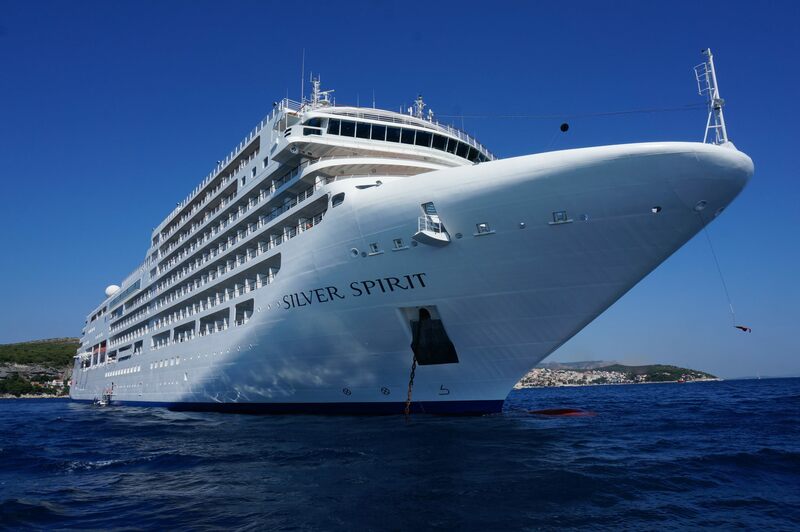 In order to help you decide what’s best for you, let’s look at what is different about Silver Spirit when compared to the rest of the fleet. See On Silver Spirit, Assessing The Cost Of Luxury Cruises: Ten Value-Added Extras; What’s The Real Cost? 1. Passenger capacity. 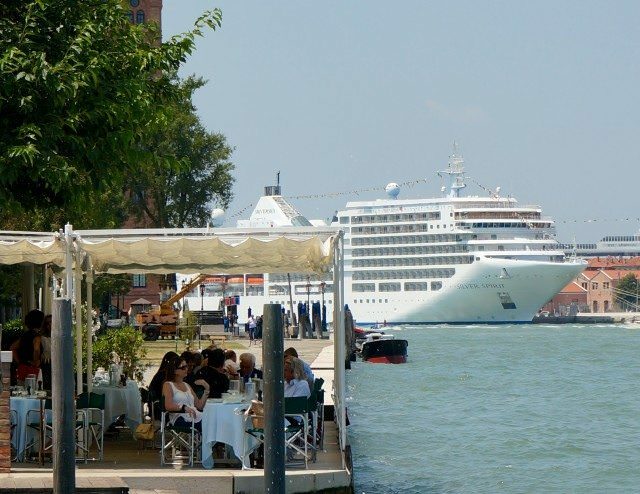 Silversea’s other non-expedition vessels — Silver Wind, Silver Shadow, and Silver Whisper — range from guest capacities of 296 guests to 382 guests. With a capacity for 540 guests, Silver Spirit, by contrast, is the second-largest ship in Silversea’s fleet, coming in slightly smaller than the new 596-guest Silver Muse launched in 2017 — yet retains the generous passenger-space and passenger-crew ratios that have become Silversea hallmarks. Nonetheless, some Venetians disliked the larger size, preferring instead the line’s smaller vessels. If you feel that sharing space with more than 500 other guests is more than you can tolerate, look to the line’s other ships, and if even they are too large, consider Silversea’s expedition vessels — Silver Cloud Expedition, Silver Explorer, Silver Discoverer and Silver Galapagos — that carry around 100 guests each. 2. Larger ship. About 25 percent larger than the majority of her fleetmates, Silver Spirit, as mentioned, might be too large for some. The larger size, however, allows Silver Spirit to pack in several new onboard options — including restaurants not on the other ships. If you want choice, choose Silver Spirit over the line’s smaller vessels. 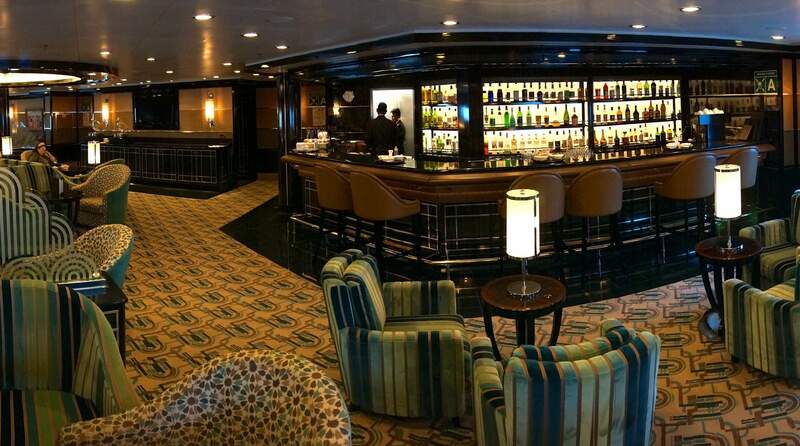 One of those choices not available on the other Silversea vessels is the midships bar, a popular meeting spot located right next to the ship’s reception area. Open throughout the day, it serves specialty Italian coffees, tapas and cocktails. Other public rooms include the clubby Connoisseur’s Corner, where you can sink into a cushy red leather chair to enjoy a cognac and cigar; the Panorama Lounge on Deck 9, offering afternoon tea, piano entertainment, views out over the stern, and an open-air patio furnished with two-guest sun-beds; the Observation Lounge on Deck 11, offering a view forward as well as astronomical maps, and binoculars for guests who like to keep track of their course; and the Show Lounge, offering full shows, soloists and movies. There’s also the fleet’s largest casino and boutiques; a library stocked with books, magazines, newspapers, and DVD movies; and a card room that’s popular for bridge games and tournaments. 3. Art deco design. 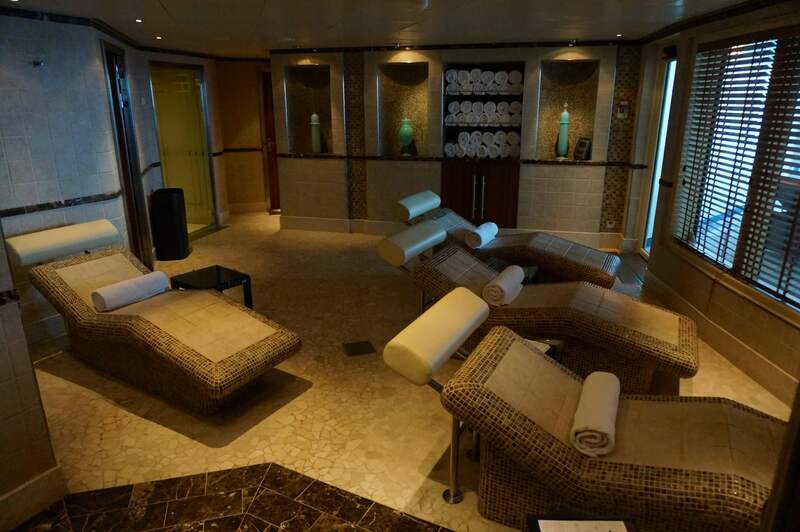 Until Silver Spirit, Silversea’s design could be described as resembling upscale, European hotels. In fact, the entire fleet represents veritable floating advertisements for refinement and taste. Everything aboard the vessels whispers class, from the no-hair-out-of-place design and decor to the exquisite service and cuisine, high-end amenities and free-flowing champagne. With Silver Spirit, the ship’s interior designer, Giacomo Mortola, used the larger available space to craft rooms that mix classic old-world elegance with hints of art deco. Either you like the art deco touches or you don’t. Most rooms, however, are perfectly designed and proportioned to deliver exquisite experiences. And like all Silversea ships, except for the three expedition vessels, Silver Spirit is designed with the vast majority of her public rooms located between midships and the stern, while staterooms and suites occupy the ship’s forward half. 4. 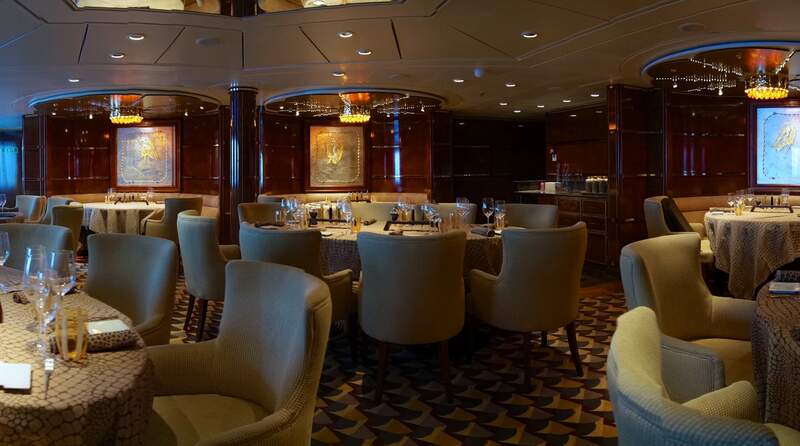 Six restaurants, including two not on other Silversea vessels. 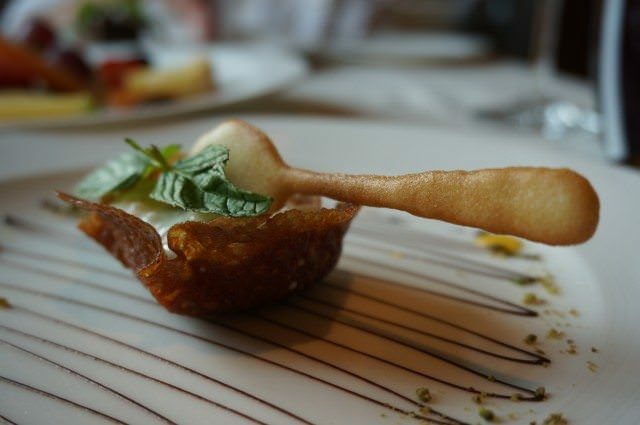 Dining is one of Silver Spirit’s great highlights, with six restaurants from which to choose. New for Spirit is the intimate Seishin, serving an Asian fusion menu that may include Kobe beef, spider lobster and a selection of sushi. A second option, Stars Supper Club, emulates the great supper clubs of the 1920s and 30s, serving a small-plate menu of regional and seasonal delicacies, served along with music, dancing, and nightclub-style entertainment. The other four restaurants on board are the standards available across the Silversea Fleet: the Relais & Châteaux–designed Le Champagne for six-course wine-pairing meals in an intimate art deco atmosphere; the Restaurant, an elegant, crystal and candlelight room that serves breakfast, lunch, and dinner; and La Terrazza, an indoor/outdoor space that offers buffets at breakfast and lunch and in the evening serves an Italian menu created on “slow food” principles — locally grown, sustainable, and fresh. 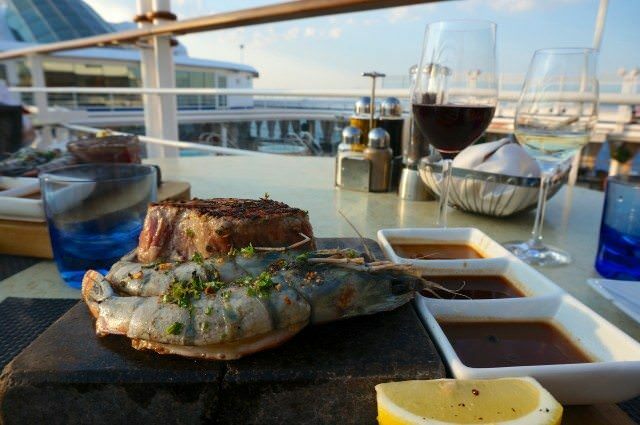 The Pool Bar & Grill also serves casual lunches and dinners, the latter featuring the fun hot-rocks experience, in which guests can grill their own meat or seafood at their table on a preheated volcanic rock. 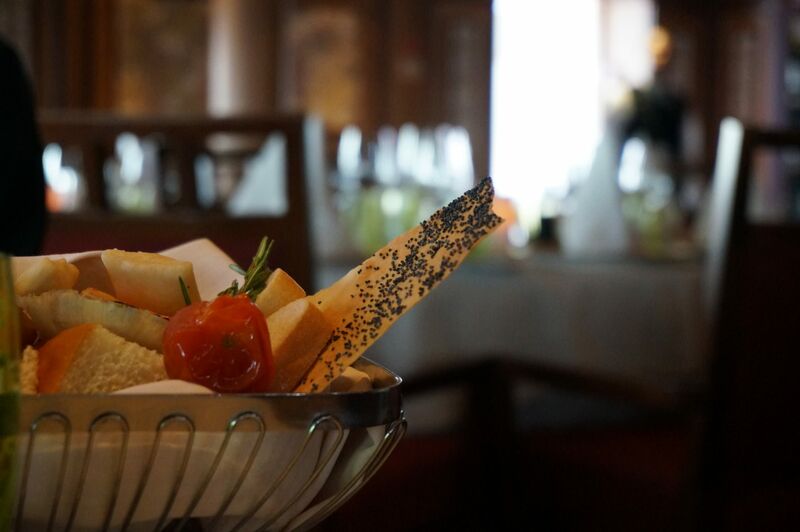 You can also order lunch and dinner served course by course in your cabin, from the day’s menu at the Restaurant. 5. 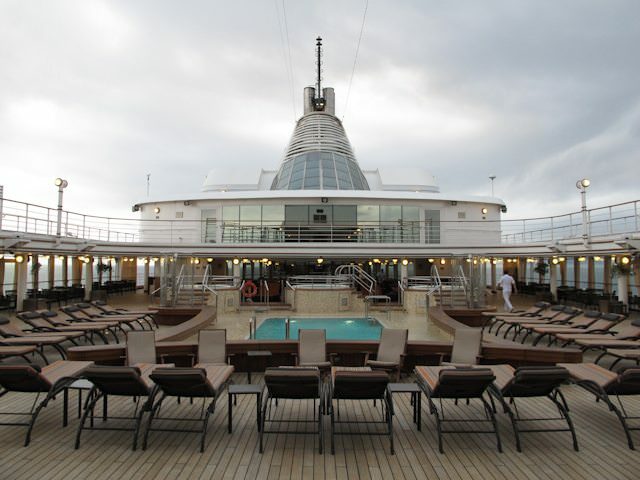 Silversea’s largest pool & spa. Silver Spirit’s pool area is the largest in the fleet, as is its 8,300-square-foot spa, which offers nine treatment rooms and an extensive treatment menu, indoor/outdoor relaxation areas with a spa whirlpool and bar service, a Thermal Suite furnished with heated tiled lounges, a Turkish bath chamber, men’s and women’s saunas and steam rooms, a gym, and a beauty salon. Even though the space represents Silversea’s largest, I found the fitness room to be too small for a 540-passenger ship. 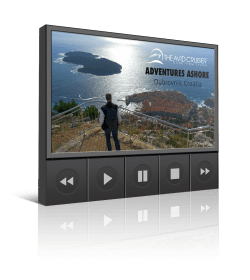 I often looked for other ways to exercise on my cruise on Silver Spirit, including a rigorous hike in Kotor, Montenegro. 6. 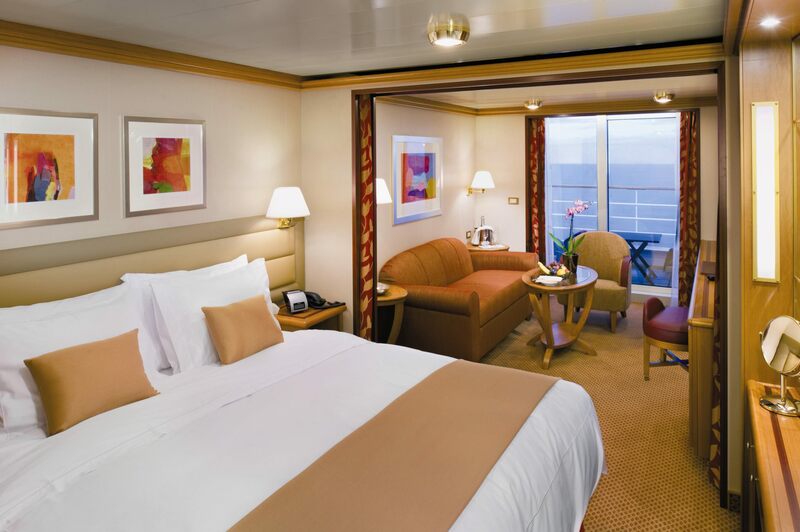 Stateroom configurations. Similar to its fleetmates, Silver Spirit features seven suite configurations, ranging from 312-square-foot (29-square-meter) Vista Suites with large windows to the 1,292-square-foot (120-square-meter) Owner’s Suites, expansive luxury apartments with separate living/dining areas and bedrooms (either one or two, the latter by booking and opening up an adjoining standard accommodation), a large teak veranda, and a marble bathroom with separate shower and whirlpool tub. All accommodations on board come with butler service, a bar setup stocked with your preferences, wifi access, European bath amenities, fine Pratesi linens and down duvets and a choice of nine types of pillows. Veranda Suites on Silver Spirit are larger than those on other Silversea vessels as well as those on Crystal Cruises or Seabourn. The vast majority of accommodations aboard are Veranda Suites, with private teak verandas, marble bathrooms and walk-in wardrobes. The Veranda Suites have been criticized for being too narrow, even though at 376 square feet (35 square meters) they are larger than the Veranda Suites on Silver Cloud/Wind, which measure 295 square feet (27 square meters), and on Silver Shadow/Whisper, which measure 345 square feet (32 square meters). The problem, according to some who have cruised on Silver Spirit, is that when the make-up vanity is in use, it is difficult to pass from one end of the suite to the other. The make-up vanity is situated on the wall across from the bed, so when someone is sitting on the stool applying cosmetics, the passage is blocked. It is a minor quibble, of course, but an irritant for some. One of Avid Cruiser’s loyal readers remarked that when his wife does her make-up, he has to “climb over the top of the bed” if he wants to go out on the veranda for an adult libation. I cruised on Silver Spirit in a Veranda Suite with my son in the summer of 2013. We found the suite to be considerably larger than Crystal Symphony‘s Deluxe Stateroom with Veranda, measuring 246 square feet (23 square meters) and a tad larger than Seabourn Quest‘s Veranda Suite, measuring 365 square feet (34 square meters). One feature that we appreciated with regard to our Veranda Suite on Silver Spirit was the two televisions, cleverly situated behind large mirrors and with free programming, including new-release movies. 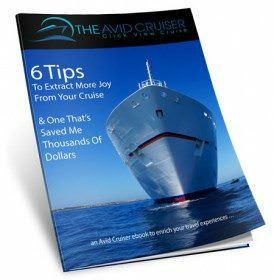 The Avid Cruiser’s Take On Silver Spirit: Silver Spirit works for me. It has all of the hallmarks that Silversea has built its reputation on — fine dining, excellent service, an all-inclusive luxury experience, spacious accommodations with butler service and more. The larger size of Silver Spirit, and the variety of restaurants she offers, appeals to my desire of having more choices than on the smaller vessels. If you prefer sharing space with fewer other passengers and the intimacy of small vessels, work your way from largest to smallest by first considering Silver Whisper and Silver Shadow, followed by Silver Cloud and Silver Wind, and finally Silversea’s three expedition vessels. On Silver Spirit: The Biggest Loser? 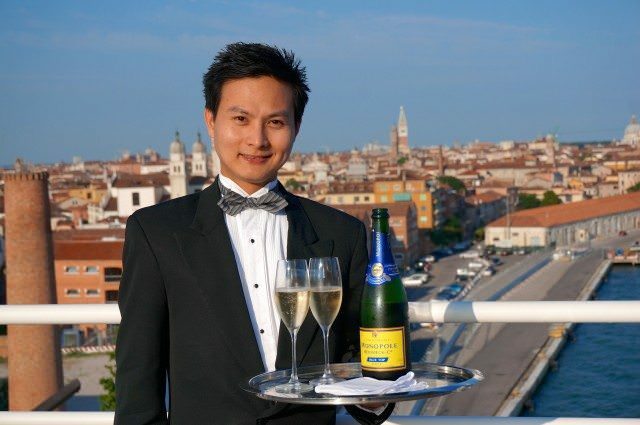 Upgrade Your Silversea Cruise: Dinner At Le Champagne, Worth The Extra Fee? From Pirates To Piraeus, Transiting The Gulf Of Aden: How Risky Was It? 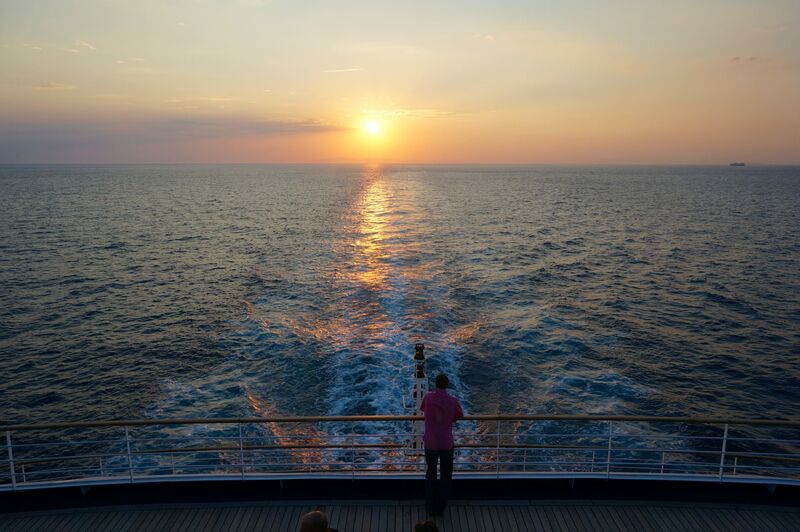 Days At (Silver) Sea: How Would You Spend Your Time Afloat? Silver Spirit: What’s The Vibe? Dumpster Diving On Pool Deck? I hope they still keep the former old Acqua di Parma as toilettries selection. Ferragamo or Bulgari is not a nice choice. Hm? Will have to check that one. I have Bvlgari. We booked a $17,850 “luxury cruise” with Silversea Cruises for our family of four departing March 20, 2017 on the ship Silver Spirit and the experience was so horrible in the first four hours, we walked off the ship before it left port. Although we were led to believe we would get a refund, the tiny little copy at the bottom of the disembarkation request (that we had to sign to get off the ship) said our decision does not “entitle us for any reimbursement” so says Frank Sansone the Director of Guest Relations. We experienced: horrible customer service, horrible atmosphere, horrible food & horrible communication.